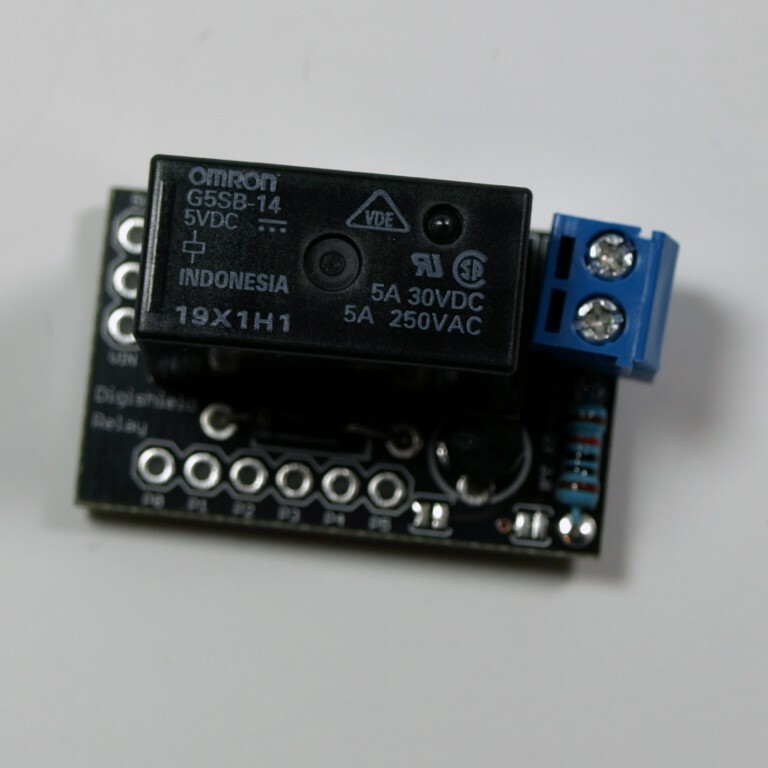 The Relay Shield Kit connects a Omron G5Q relay to the Digispark development board. 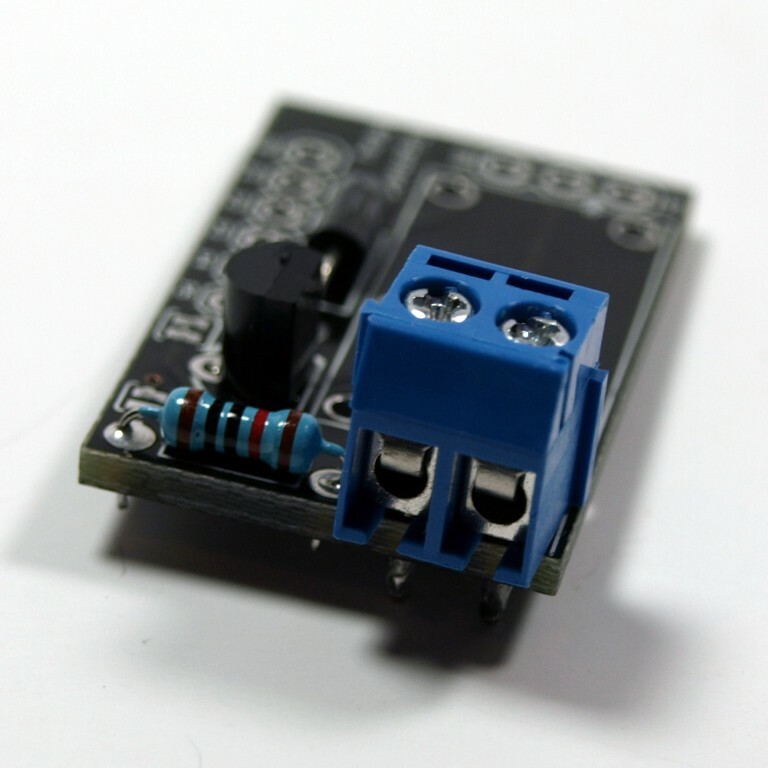 This allows the Digispark to turn AC and DC loads on and off up to 250 VAC. 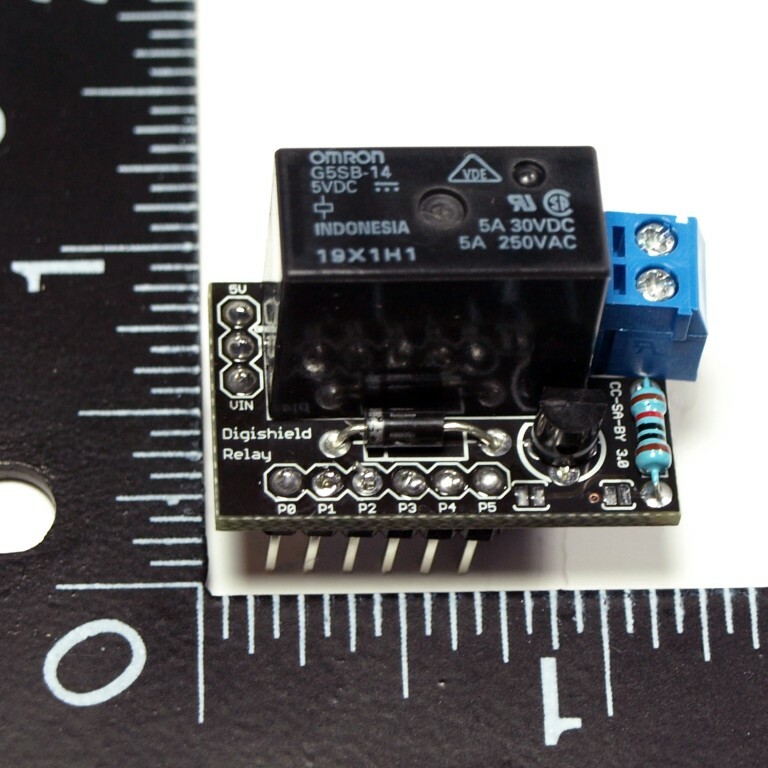 The relay is rated for 3 A @125 VAC, 3 A @250 VAC, and 5 A @30 VDC. Insert resistor and diode - the diode goes on the bigger outline with the line on one side. 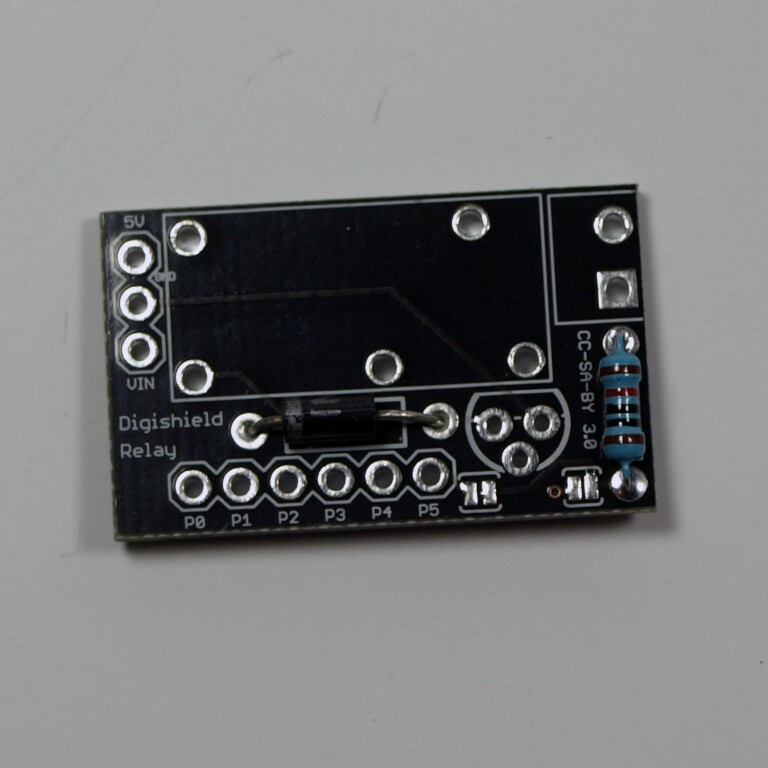 Be sure the direction line on the diode is on the same side as the line printed on the board. Solder the leads and clip off the excess. 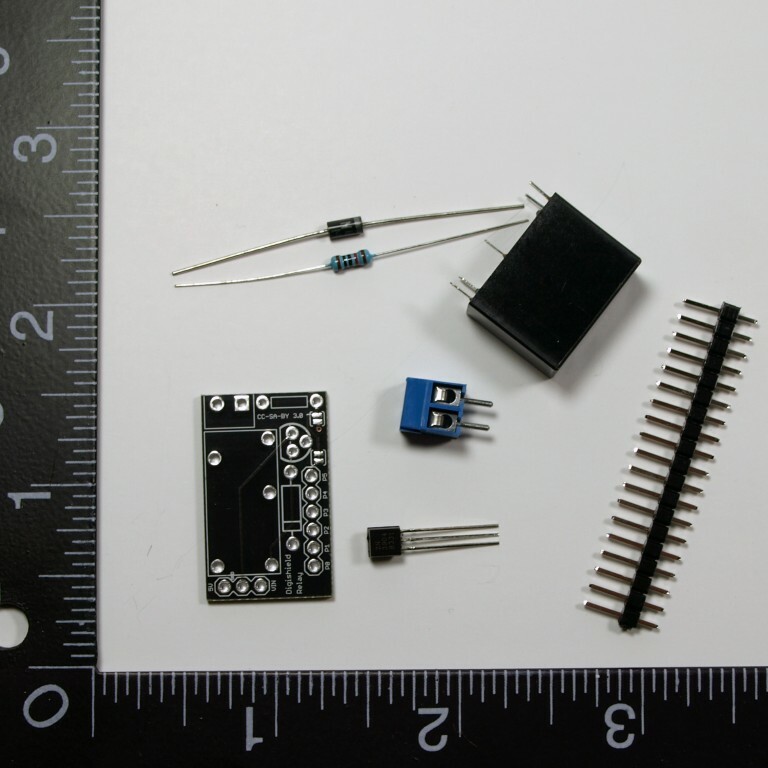 Insert the transistor, matching the shape with the printing on the board. Solder the leads and clip off excess. Insert the the relay and solder all pins. CAUTION: Care must be used with working with live AC loads, Digistump LLC takes no responsability for injury, damage, or death that may result from imporper connection of the relay shield. 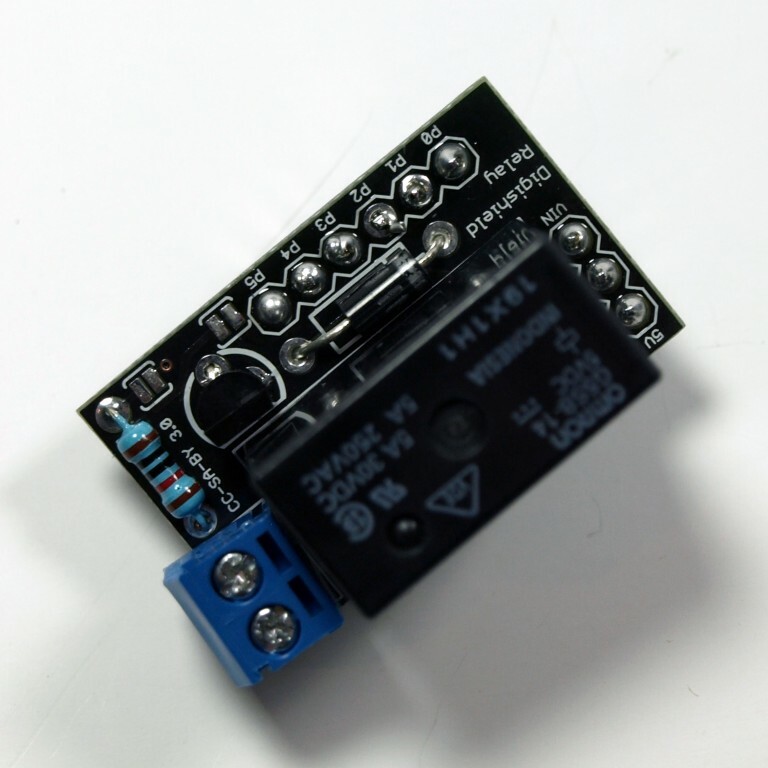 The relay can be turned on and off by simply setting P5 high or low (just like blinking the LED in the blink demo). The relay is normally open, so it will be off unless P5 is set high. 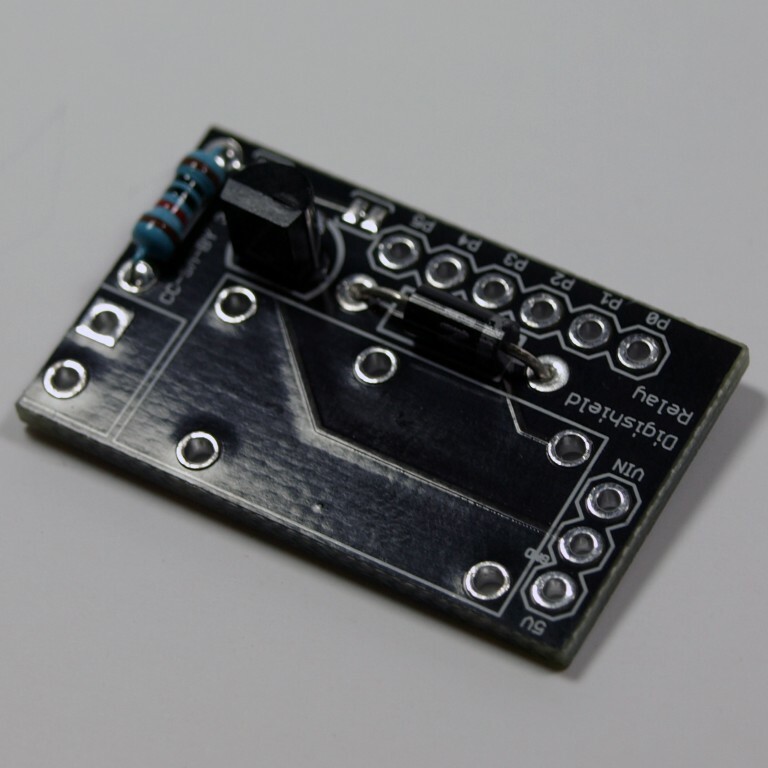 The relay can also be connected to P2 by cutting the thin trace between the solder number next to P5 and bridging the other solder jumper with solder.